Numerous lawsuits have been filed against many of these companies, making the debt settlement services a risky affair. Much to the relief of the debtors, the Federal Trade Commission (FTC) has recently come out with a new set of regulations governing workings of the debt settlement companies. This is indeed a good step, given the fact that there are many scam-tainted debt settlement companies in the market. Numerous lawsuits have been filed against many of these companies, making the debt settlement services a risky affair. However, the new rule is helping protect the consumers from getting trapped in scams. These new regulations are likely to clean up the debt settlement industry. Quite naturally, many of the debt settlement companies did not welcome this move taken by the FTC but undoubtedly the new set of rules has been very much beneficial to the debtors. Here are the major components, contained in the new regulations. The most important change has been made in relation to the upfront fees. Now, the debt settlement companies cannot charge upfront fees from the debtors. Before the enactment of this law, many debt settlement companies used to earn thousands of dollars as upfront fees from the debtors even without negotiating a single debt agreement. However, after the introduction of the new rules, the debt settlement firms can charge fees only after successful settlement of debts. Not only this, all the details of fees should be categorically spelt out to the debtors. As a thumb rule, it has been decided that fees charged should be proportional to the debt settlement amount. Under the new guidelines, the debt settlement firms should play a more responsible role. In some cases, not all the debt settlements are good for the debtors. Some debt settlement may hit your credit score badly. 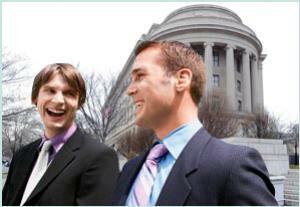 Being in the business, the settlement companies are well aware of the consequences of debt settlement. Under the new rule, the settlement firms are bound to spell out the negative consequences of a debt settlement program. This rule has been framed so as to protect the debtors from any untoward incidents regarding the payments made by them. A dedicated account is created wherein the debtors make payments. The amount paid by the debtors to the dedicated account is federally insured. The account is created in the names of the debtors. Whatever be the circumstances, it is not a good thing to get caught into a debt crisis. In any case, if you have to get help of debt settlement services, the new FTC regulations ensure that you get fair services from the debt settlement companies.